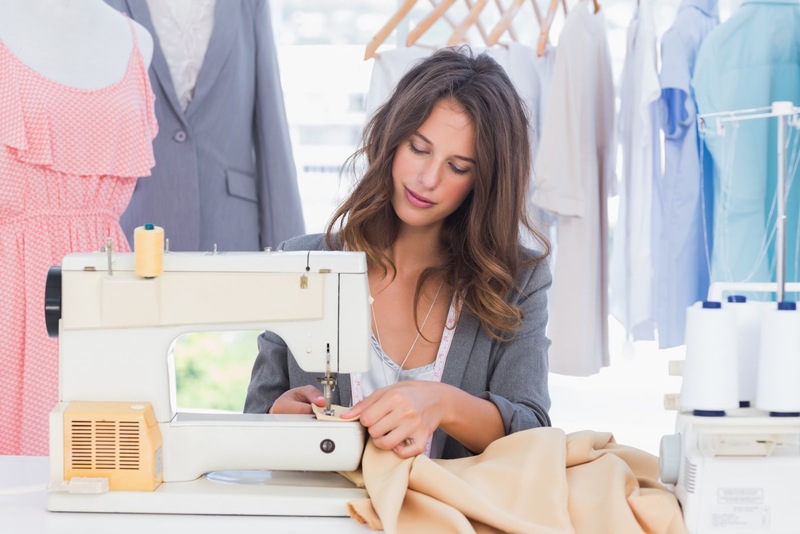 Does Sewing Your Own Clothing Save You Money? Sewing can seem like such an expensive hobby to get into. The machine, the needles, the fabric, the buttons….it all just seems like such an investment. It seems even more so when you can walk into a store and purchase a shirt for $5 when the fabric to make that shirt would cost you $10! So why do people say that sewing your own clothes can save you money? The answer is a complex one. We’ll look at both sides of the answer: the instances sewing your own clothes can save you money and the situations where it doesn’t. There are actually very few instances where sewing your own clothes doesn’t save you money. The world of fast fashion has led many people to believe that department store clothing is the better bargain over sewing your own clothing. The reason department store clothing seems like the better option is because of quality. Generally speaking, cheaper clothing has cheaper quality. The companies use fabric produced overseas and cheap labor to produce high quantities of clothing. This is fine for some who change out their wardrobe every season. Someone who needs a new shirt or skirt every month to stay up on the trends may find that store bought clothing works for them. However, many people prefer a quality shirt that won’t wear out after 5 washes. For that, they generally have to pay more. This is where the trend of store clothing being more affordable begins to reverse. As quality rises, the store bought clothing becomes more expensive which makes sewing more attractive economically. Additionally, if any type of clothing needs to be tailored (such as hemmed pants or shortened sleeves), the cost grows once again. This is why many people have turned to sewing their own clothing. Sewing becomes a money-saver when quality and tailoring comes into play. When sewing your own clothing, you can make any adjustments you need before the item is made. This eliminates the need and cost of a tailor. This is great for folks who do not fit into standard sizing. If you are a novice seamstress, I reckon that there are cheap sewing machines for beginners and this will help you save a lot of money. As an added benefit, you get to choose the type of fabric you use and the print of said fabric which increases your creative options and can increase the quality. Even when pieces you make do eventually wear out, when you’ve constructed it yourself it is much easier to repair. By extending the life of your clothing in this manner, you could save tremendous amounts of money each year by not having to replace items. Another time that sewing your own clothing can save money is when designer fashions come into play. Designer pieces can cost thousands of dollars but when you sew yourself you can make something very similar for a fraction of the cost. This is particularly true when looking at dress clothing. Prom dresses, evening dresses, cocktails dresses, and tuxes are all fairly expensive items to purchase. By sewing them yourself, you can often cut that price tag down by a decent amount. Of course, finding the best sewing machine for making clothes is important. As I’ve said, there are a lot of good models out in the market that won’t break the bank. Depending on the type of person you are, it may seem silly to make your own clothes when you can just go buy some. However, there are those out there who prefer quality over quantity and wish to have truly unique and tailored items of clothing in their wardrobe. Truthfully, neither type of person is wrong if they claim that sewing will or won’t save you money. It’s all in your perspective.